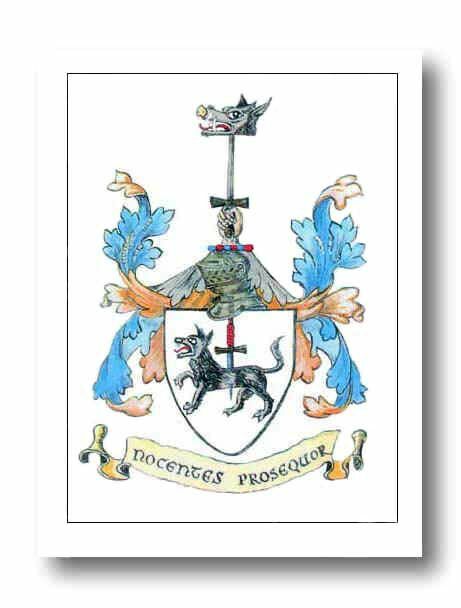 This page contains information on descendants and ancestors of James and Thomas Dunbrack, who immigrated from Rothes, Morayshire, Scotland to the New World in the middle to late 1700s. James who was born in 1727 settled in Halifax, Nova Scotia, while Thomas, born 1731, settled in Demarara, British Guiana. James had many descendants in Nova Scotia and later in the United States and Australia. Thomas' son Charles left South America and moved to Nova Scotia and had many descendants. The name is probably derived from the Gaelic, Druim breac, which means "spotted ridge." In the early sources, the name is often spelled Drumbreck or Drumbrek.The alternative is An Dun Breac, which implies the existence of a hill fort (Dun), which seems unlikely given the terrain. Other Dumbreck place names in Scotland vary between Dumbreck and Drumbreck. His direct descendants remained at Orton House for several generations until the land was sold to the Innes's. Later generations remained in nearby Rothes until at least the late 1700s. For additional information and history, visit the Dumbreck Family Webpage run by Rod Dumbreck, my 7th cousin. Family Crest The family crest shown above is the one given in most armorials. It is described as Argent, a dagger azure, hilted gules, thrust downward through a wolf passant, sable. The Gaelic word Druim means the ridge of a hill but also the back of a person or animal. The word Breac means speckled but also by association, trout, salmon, and wolf. Thus, as a reading of the Gaelic, the shield may represent the back of a wolf or Druim breac. In the earliest armorials, including the Forman-Workman MS, the shield is described as an otter seizing a salmon. Again, another meaning of the word Breac may be the source of the shield. Finally, one possible origin of the family is from the Meldrums of that Ilk, whose crest consists of three otters. Photographs I have included a set of photographs dating from 1870 to 1941. These photographs came from an album belonging to Hazel Dunbrack Wilkins. The oldest photograph is of James Dunbrack, my great-great-great-grandfather, who lived from 1787 to 1877. There are several photographs of my great-grandmother, Janet Parker Dunbrack. Most of the images are of my grandparents, Norman Kent and Gertrude Scott Dunbrack and their children and grandchildren. The Data on this Site Much of the data on Dunbracks is based on research by my aunt Hazel Dunbrack Wilkins. I owe her a tremendous debt of gratitude for many years of digging and hard work in tracing our family back to Scotland. It was her research that connected Dunbracks to Dumbrecks in Scotland in the early 1700s. From Rod's website, we can now reach back to 1320. I am also indebted to Gary Dunbrack and Phyllis Dunbrack Bennett for information on their family lines. Rod Dumbreck provided all the information on Dumbreck ancestors prior to 1700. His data came largely from a pamphlet written by William Vincent Dumbreck, based on historical sources and a family bible. Entering information into the database is an ongoing process. I welcome additions and corrections on any aspect of the site. If your family is represented here, please check the dates and locations and other information. I would be happy to add more people, or to remove information for privacy reasons. I believe all the information is otherwise available in public records. I would also be happy to post photographs of Dunbrack family members and related places, homes, gravestones, etc. For a summary of the family history, here is a pedigree tree that includes all of my ancestors that I have information on. If you would like such a tree with you or someone else at the root, please let me know and I can generate one very easily. Please e-mail me with any photos, additions, corrections, deletions, etc. at Roland.Dunbrack@fccc.edu. See further contact information below. View the Dunbrack Database, Last update: January 9, 2017 To get started on the family records, visit either the Surname page which lists alphabetically all surnames in the database, or the Index page, which lists all individuals in the database. You can also visit the list of sources to find people to blame for any inaccuracies ;-). The Dumbreck Tartan: A Proposal Most Scottish family tartans are an invention of the 18th or 19th century. Only a few tartans have ancient histories. By the 1700s, the Dumbreck family in Aberdeenshire had mostly died out. In Morayshire, they had lost their lands and had entered various professions. Some immigrated. At a time when many families registered tartans with the government, the Dumbrecks apparently did not. We are therefore tartanless, and by custom we may choose any tartan we wish to wear. It is however preferable to have some association with the tartan, rather than picking one randomly. Many Dunbracks and Dumbrecks have other family lines in their backgrounds that include families with tartans. For instance, the names Innes and MacDougall appear in our family histories. These are certainly good choices. But I would like to propose an alternative. As I was looking for a tartan for my kilt, I looked at many possible family tartans, and some of the more appropriate ones were, well, rather bright (including one bright orange, and another bright red). An alternative to family tartans exists in the district tartans of various cities and shires of Scotland. The Aberdeen tartan would be most appropriate but it is also rather bright red with thin pink stripes. But with the help of my kiltmaker, Celtic Craft Centre, in Edinburgh and San Francisco, I discovered the Grampian District Tartan, named after the Grampian region of Scotland that runs from Aberdeen nearly to Inverness. This area includes both Dumbreck and Orton. It is also a very nice tartan in blue and green. To model the tartan, here is a picture of me in my kilt, taken by Rod Dumbreck on a visit to Scotland in January 2002.